Kuindzhi was a mysterious figure in the history of art and painting of the 19th century. Despite the fact that his biography is known, it still conceals a large number of secrets and mysteries. The artist was born in a small village Karasu, near Mariupol. Ancestors considered their Greeks. It was believed that Kuinji had difficulty writing and reading. Only one of the artist’s signature was saved – it looks like a child’s hand, rather large and a little awkward. Despite this, he painted magnificent canvases that we can admire to this day. Once in the Society of Art Traveling Exhibitions, he almost immediately left it. Despite the poor childhood, he managed to save enough capital already in adulthood. He was a patron of the arts. Famous painting by Arkhip Kuindzhi “Winter” is currently kept in the Museum of Fine Arts of the city of Yekaterinburg. The canvas depicts a forest in winter. We see how much snow has fallen, the trees and fir-trees have bent their branches down under its weight. The artist depicted the sunlight with all the colors of the rainbow, as if scattered small diamonds on the canvas. 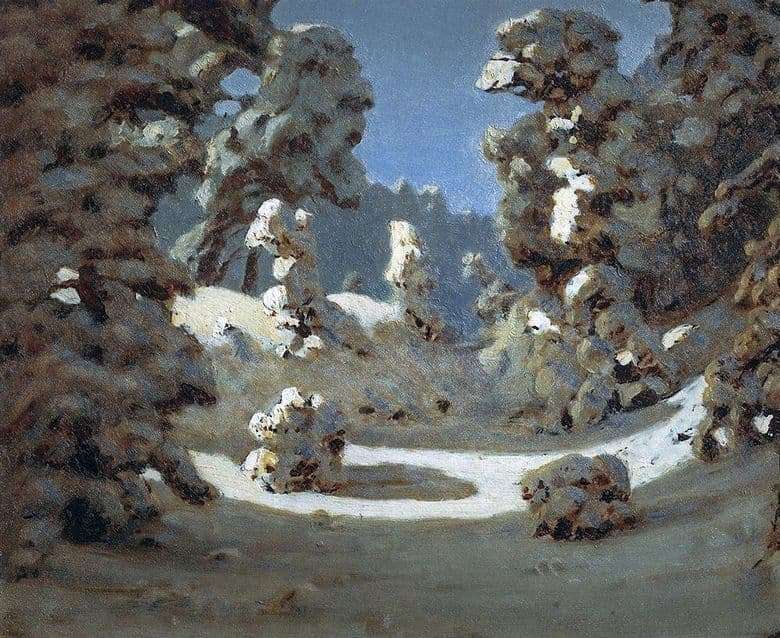 Kuindzhi managed to convey the beauty of the winter forest – evergreen spruce trees, snow whiteness, and sparkling snow. Among all the paintings depicting the landscape stands out a whole series dedicated to the winter. Here he managed to transfer all the weather stages – slush, snow, humid air, which dissolves all the outlines of objects. All canvases are notable for ease of execution, they accurately convey the feelings of the emotional state of the artist. Modern artists speak of Kuindzhi as a master of light, he managed to subdue him.